Over the last thirty years Hope has performed primarily throughout Texas and Mexico. 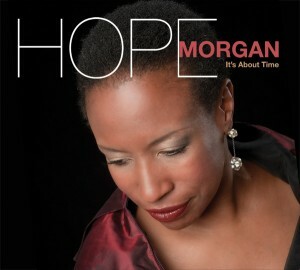 Finally, she is realizing a longtime ambition of sharing her musical gifts through other media with the making of the“ It’s About Time” CD featuring Jeff Hellmer on piano, John Mills on sax and flute, John Fremgen on bass and Wayne Salzmann on drums. The CD was recorded at mixed by George Oldziey at Greenhaven Studios in Austin, Texas.